This press release from DL Media made me happy. Reminded me of back when there was a Mercedes-Benz Stage at the Twin Cities Jazz Festival, when it was held in Minneapolis. Congratulations and thanks to Chrysler for supporting this worthy cause. 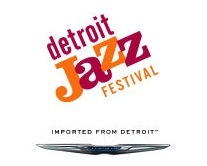 The world's largest free jazz festival branded "Imported from Detroit"
Today the Detroit Jazz Festival announced that the Chrysler brand will be the official presenting sponsor for the 2012 festival. The sponsorship is an extension of its successful "Imported from Detroit" campaign, celebrating the spirit and determination of Detroit and its residents. "The automotive industry and jazz music both have rich histories in the city of Detroit. The partnership between Chrysler and the Detroit Jazz Festival bridges these great histories and brings key elements of our city together," said Gretchen Valade, chair of the Detroit Jazz Festival Foundation board of directors. "Welcoming Chrysler as a presenting sponsor, and hosting its vehicles for a ride and drive, further proves this year will be the best festival we've seen yet." The Chrysler brand is also the exclusive ride and drive sponsor participating with a unique activation at the festival, offering attendees the chance to test-drive some of the top vehicles on the road. On-site, Chrysler will offer attendees the chance to drive the 2012 product lineup that includes the Chrysler 200, Chrysler 300 and the Chrysler Town & Country minivan. "The Detroit Jazz Festival is just one of the many jewels of this city, it draws international acclaim and lets Detroit shine," said Saad Chehab, President and CEO - Chrysler Brand, Chrysler Group LLC. "The Chrysler brand is proud to be a part of this celebration of music and people, which imports a little bit of Detroit to the rest of the world."